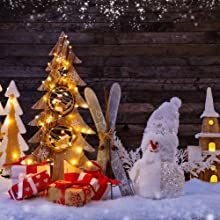 These shiny led light have 100 bulbs on a ultra thin 32ft bendable waterproof copper wire can be wrapped any shape of decorative project even around a vase. The light is operated by battery which is convenient for decorating bedroom, wall, tree, store, patio, outside and so on. 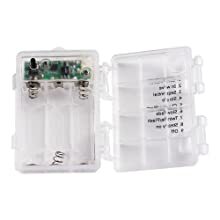 The remote control and one button on the battery box, you can adjust the brightness or switch 8 modes. You'll be able to make any occasion or space extra special with these bright fairy lights. 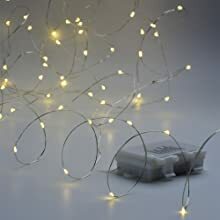 The string lights is battery operated with button on battery case to switch the lights on/off/Modes; The Light Can be set for 6 hours on and 18 hours off each day. 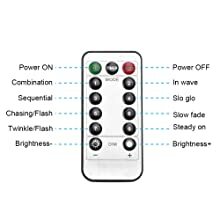 With the remote control on hand can easily turn on/off the lights and change the light modes within the distance of 32 feet; 8 Modes - in Wave/sequential/slot /glow/flash/slow fade/twinkle/steady. 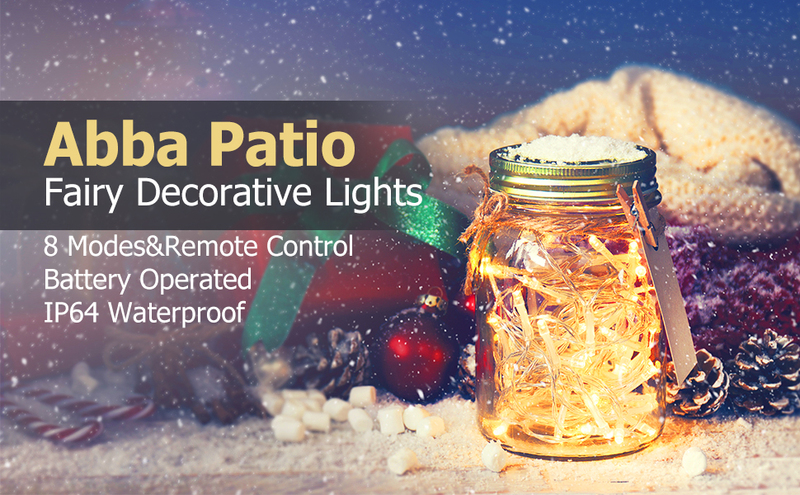 Waterproof string lights is suitable for indoor and outdoor use perfect to decorative patio, garden, room, parties, store, restaurant, etc. The string lights is waterproof not the battery case, pls don't put the case under water directly. The copper wires is flexible which can be twist any shape you want; no extra tool, just put the invisible light anywhere you want. The LED bulbs can remain cool after many hours of usage don't need to worry about safety problem.